The Magaliesburg mountains near Pretoria played host to event number two in South Africa's Hakahana enduro series. 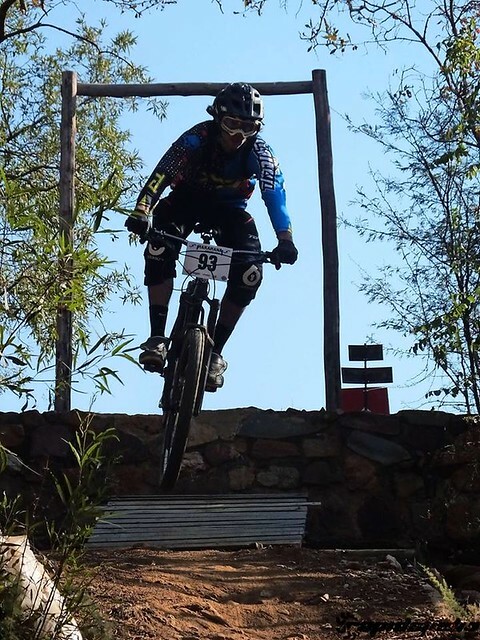 As a format, enduro has been eagerly embraced by SA's typically up-for-anything mountainbikers and this event up in Gauteng was a first for the province. Blasting down the steep Magaliesburg rock gardens and unforgivingly sharp shale, the country's premier and not so premier riders had to negotiate gap jumps, drops and some very sketchy loose stuff through the race's five stages. A bracingly cold start saw 110 riders head off up to the start of SP1 and the riding was fast and hard with riders gathering in small groups after each run to share war stories and lick their wounds. of which the sharp rocks and drops-off accounted for many. Cotic SA factory rider Dirk van Schalkwyk was notably impressive on his Soul 27.5. Kitted with some really big 2.4 tyres, he finished 13th overall - a result that saw plenty of high-five acknowledgment given he was riding a hardtail on a course that was as rough as it gets. There's no doubt that when his dual sus Cotic Rocket arrives later this season, he'll make a big move further up the overall standings.